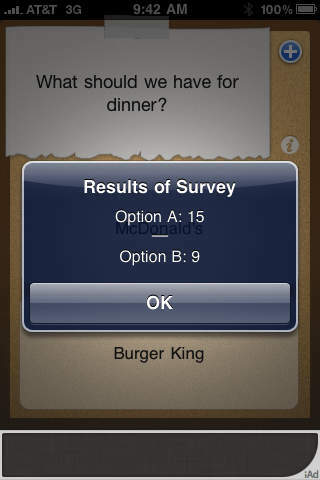 Surveyor is designed to keep track of votes for two choices.Having trouble making a decision? Wondering what opinions your friends have about something? Hit the plus button to make a new survey and ask away. When you’re ready to see the results, hit the info button.